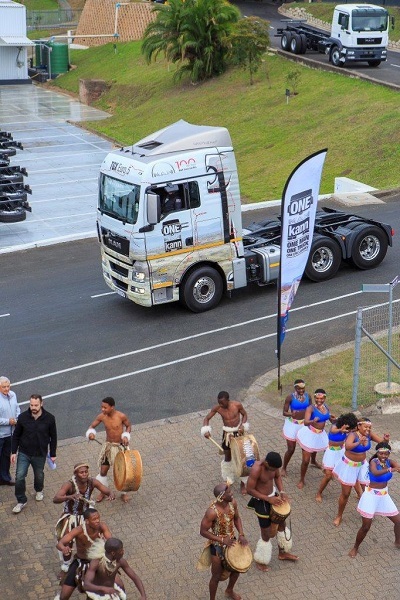 Having notched up a string of fuel efficiency benchmarks since its release in Europe in 2008, the Euro 5 MAN TGX 26.540 6x4 BLS (XLX) EfficientLine truck-tractor now makes its official debut in southern Africa at a launch ceremony at MAN Truck & Bus SA’s Pinetown assembly plant on Tuesday, 8th September 2015. “Equipped with leading-edge driveline and cab technologies, the MAN TGX 26.540 EfficientLine will bring proven economy, productivity and safety enhancements to the long-haul truck transport industry operating across sub-equatorial Africa,” says Geoff du Plessis, Managing Director, MAN Truck & Bus (S.A.). “Powered by the legendary MAN D26 common-rail diesel engine, the 540hp/2500Nm TGX 26.540 gives long-haul operators an additional 60hp over MAN’s SA long-haul stalwart, the TGS 26.480 6x4 BLS (LX). With an extra 200Nm of torque and a Euro 5 emissions rating, the TGX 26.540 BLS uses selective catalytic reduction (SCR) technology and AdBlue® to lower carbon as well as other toxic emissions, making it a bona fide next-generation long-haul truck-tractor, designed to meet the ever-more stringent demands of the local market,” explains du Plessis. “Initial testing of the TGX 26.540 BLS in South Africa by MAN ProfiDrive has shown comparable fuel efficiency to current TGS long-haul truck-tractors. 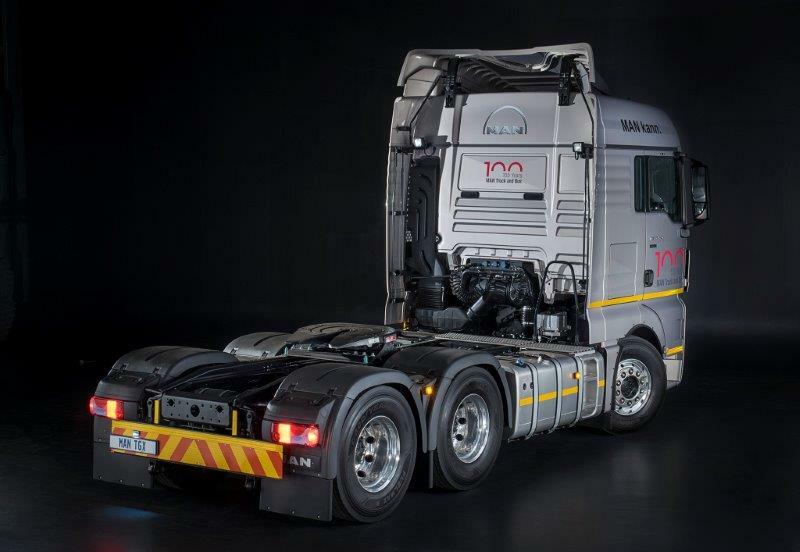 An encouraging two-litre per 100km diesel saving compared to other local truck models was achieved and, thanks to the TGX’s extra power and torque, shorter trip times and therefore, greater productivity were achieved,” adds du Plessis. Considering southern Africa’s mountainous topography, the ability for a long-haul truck-tractor to safely ascend and descend steep gradients at optimum speeds is a primary purchasing criterion for long-haul operators and the TGX 26.540 boasts a host of driveline technologies that enable benchmark average speeds. Coupled to the D26 powerplant is a 12-speed MAN TipMatic automated manual transmission that effectively keeps engine speed at optimum rpm (in the ‘green band’) without the driver having to manually change gears. The aerodynamic design of the TGX EfficientLine cab (fitted with drag-reducing aerokits), plus a low power-consumption electronically managed compressor (APM) and an energy-efficient EcoLife alternator, bring additional automated fuel savings to the vehicle. “The TGX braking system is the latest incarnation of MAN’s BrakeMatic technology, which includes a hydrodynamic PriTarder that combines an electronically controlled engine valve brake (EVBec) with a Voith Aquatarder. This combination of braking technologies produces an extra 110kW of braking power over the TGS 26.480 and, by blending and re-blending the EVBec with the service brakes, delivers more braking capacity and better engine cooling across a wider speed range. The MAN PriTarder® is particularly effective at slower speeds, making hill descents safe at 60km/h under a full load,” adds du Plessis. Additional standard safety features include a Lane Guard system (LGS), Adaptive Cruise Control (ACC) and an emergency stopping signal (ESS), along with EBS, ASR and ESP. Despite the many technology-enabled efficiency tools in the new MAN flagship, the TGX pays equal attention to the comfort, efficiency and safety of the driver. 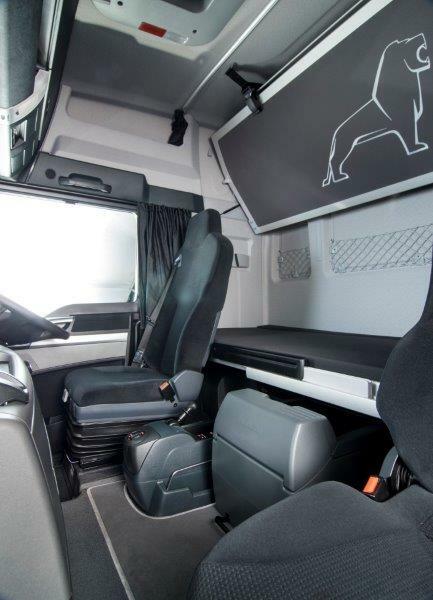 “The TGX is equipped with the roomiest cab ever released in southern Africa, the XLX, which boasts an extra 200mm of width and full standing height. 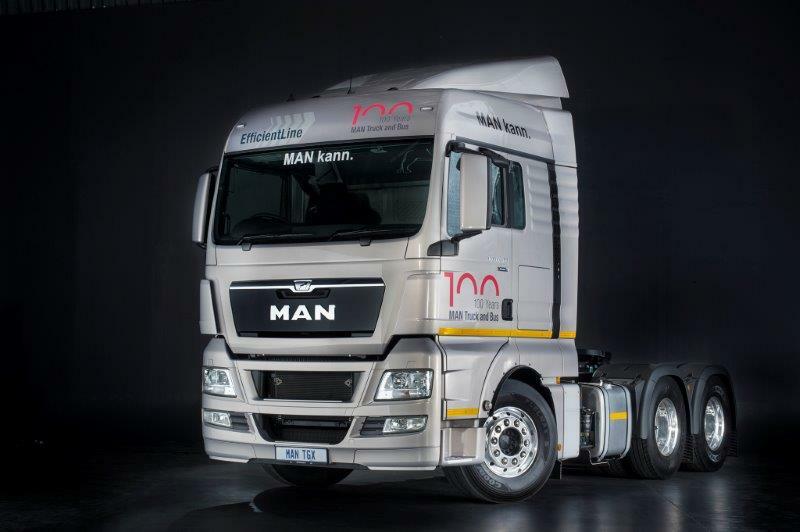 It is a true long-haul home-from-home, with extra-wide double bunks and all the latest comfort features, from air-conditioning to a hi-tech media system with Bluetooth functionality,” adds Dave van Graan, Head of Truck Sales at MAN Truck & Bus (S.A.). 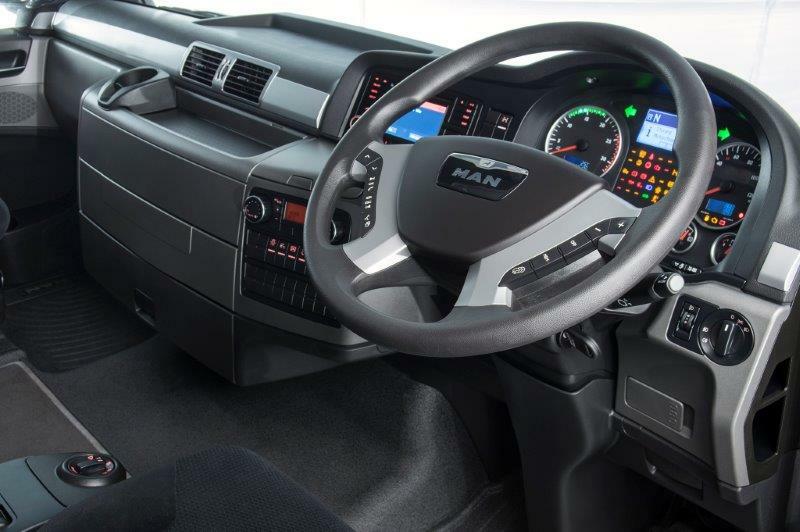 The TGX in-cab tech array also includes an axle-load display (aka on-board weighing system) for both truck and trailer and features MAN TeleMatics (a fully-fledged Fleet Management system) with touchscreen navigation capability. Driver training is undertaken by MAN’s proprietary ProfiDrive programme that includes modules from ‘basics’ to advanced and specialised applications. “The long-haul truck transport industry in southern Africa is the primary logistics service provider in the region and a central player in its economic development. Keeping truck transport sustainable and cost competitive is therefore of primary importance to the region’s development. “Euro 5 SCR technology lowers fuel consumption and thus, limits carbon emissions. Advanced driveline technologies powered by the 540hp/2500Nm engine enable better average speeds with fewer gear changes and service brake applications, all leading to lower maintenance costs and vehicle downtime. 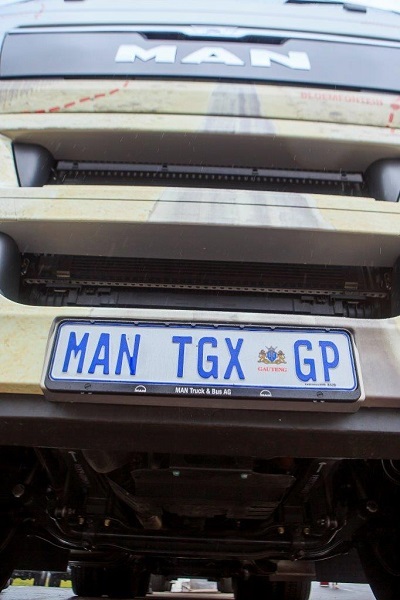 “The TGX definitely ‘checks all the boxes’ on the long-haul operator’s wish list and we at MAN Truck & Bus SA are confident it will set the new benchmark in this sector of the trucking industry,” concludes van Graan. 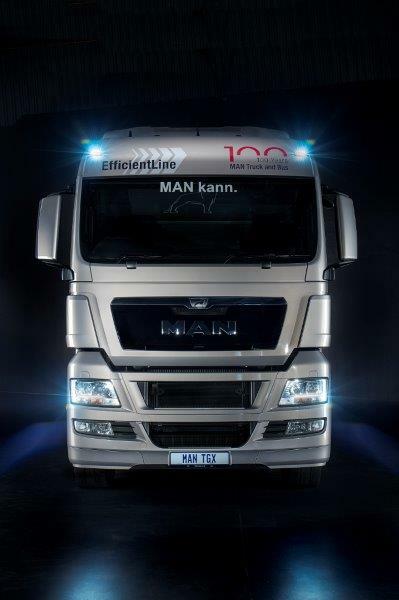 To prove the outstanding long-haul capability of the MAN TGX 26.540 EfficientLine, MAN will undertake a 14 500km road trip across 10 southern African countries over 52 days, commencing at the Pinetown launch. 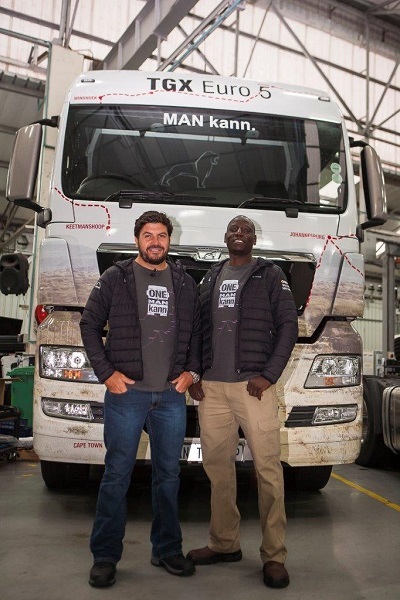 Piloting the TGX in the One MAN Kann odyssey will be celebrity adventurer and explorer, Riaan Manser (trained by ProfiDrive), and a professional MAN long-haul driver, Nduna Chari, one of MANLINE’s best long-haul drivers. The journey will take the TGX to MAN’s dealerships and partner fuel suppliers across the region and, using MAN TeleMatics, will be constantly monitored for benchmarking purposes. 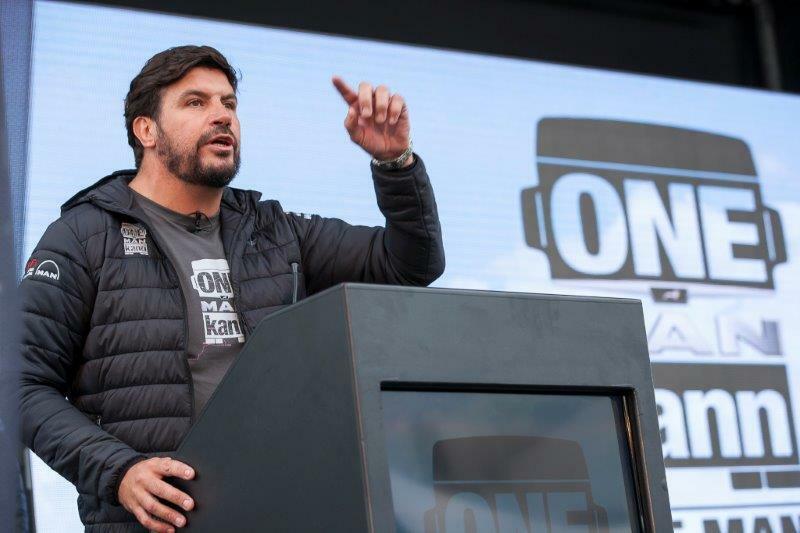 The truck will be used as a link across sub-Saharan Africa to transport necessary malaria preventative equipment such as mosquito nets and other malaria prophylactics. This initiative is in partnership with Roll Back Malaria. An experienced television production crew will film the journey in its entirety, documenting on-road experiences and the many events scheduled on the itinerary. Regular video episodes will show every Tuesday and also be posted on the One MAN Kann Facebook page for public participation, while rolling coverage will be posted on Twitter. 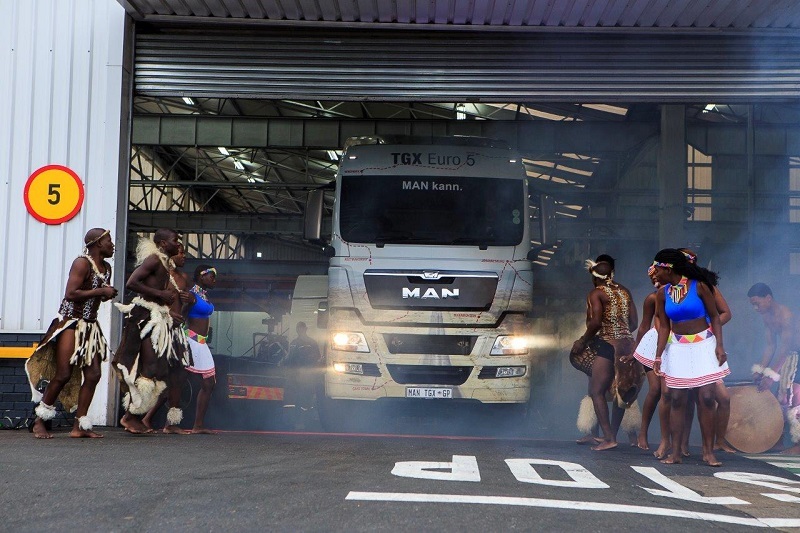 Partnering MAN Truck & Bus (S.A.) on this journey are Castrol Vecton, VW Commercial Vehicles, who supplied the Amarok support vehicles, and Henred Fruehauf/SA Truck Bodies who provided the trailer.